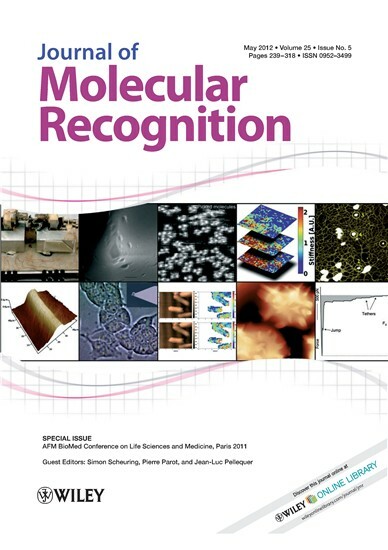 As for the previous editions, AFM BioMed Conference in partnership with Journal of Molecular Recognition (JMR) will edit a special issue after the Münster meeting. All attendees are warmly invited to submit their manuscripts before December 20, 2019. When submitting your manuscript (http://mc.manuscriptcentral.com/jomr), please assign it to the AFMBioMed special issue (Editor: JL Pellequer). Please note that all the manuscript will follow the standard peer review system of the journal. As for the previous editions, there will be JMR - AFMBioMed Young Investigator Awards for the Münster 2019 conference. Awardees are selected by the scientific committee during the whole week of the conference.